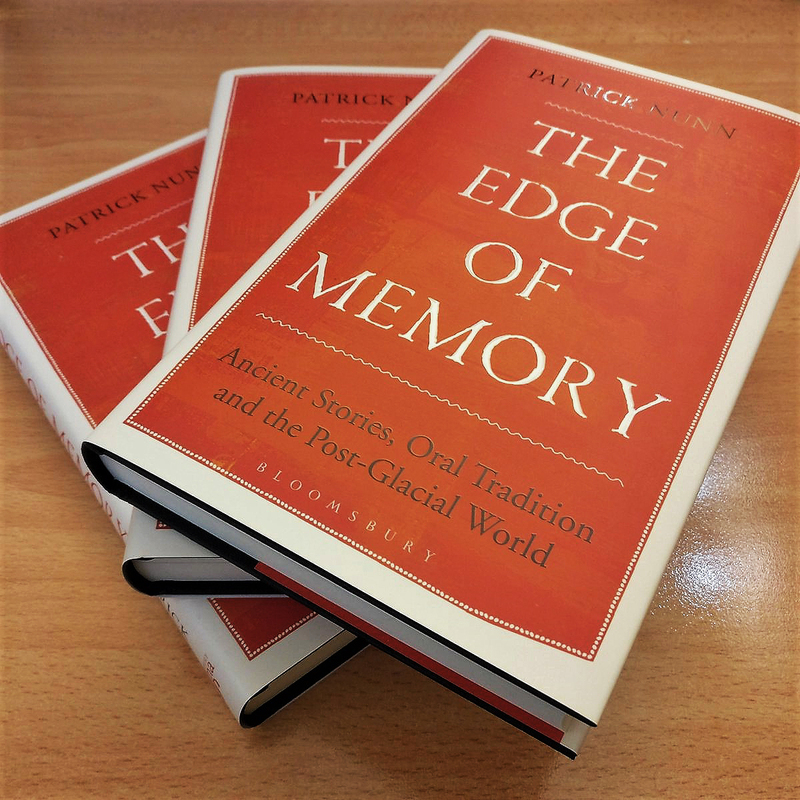 A new book, The Edge of Memory, makes a case for ancient stories being preserved within oral cultures for around 10,000 years in some instances. It argues that, especially in cultural contexts where survival of human groups was regularly challenged by harsh and unpredictable climate conditions, people accumulated a vast array of knowledge that was formally transmitted from one generation to the next to optimize their chances of survival. This knowledge was not just practical but also contextual, recalling tribal history and geography and spiritual interactions. Knowledge transmission was not solely through story-telling, although such practices have been widespread until quite recently, but also through dance and performance. Rock art appears in many instances to have been important as memory aids, preserving for millennia key information about particular aspects of oral knowledge that storytellers might use as prompts. A memory of history. Engraving on boulder (left), Dolphin Island (Murujuga Ranges, Western Australia), of a speared fat-tailed kangaroo, typical of prey animals that occupied this area during the coldest time of the last ice age (18-30,000 years ago) when the coastline was 160 km seaward of its present location. Photo by Dr Jo McDonald. Visits by Macassans (right) in their distinctive prau to northern Australia prior to European settlement are recorded in Aboriginal rock art. This example is from Angwurrkburna on Groote Eylandt (island) in the Gulf of Carpentaria. Photo by Dr Anne Clarke. Through various applications of radiometric dating, it has been possible to assign minimum ages to ancient stories that recall environmental changes, especially memorable events. The least controversial are volcanic eruptions, which geologists can generally date with ease. Thus we know that the Klamath people of Oregon (western USA) who have stories about the terminal eruption of Mt Mazama, which once stood where Crater Lake now exists, must have kept the memory of this alive for around 7600 years. Similar reasoning suggests that Aboriginal Australians witnessed volcanic eruptions between 5000-9000 years ago at Kinrara (Queensland). Meteorite falls can also be dated quite precisely in many instances, allowing us to infer that Aboriginal Australian stories about the formation of the Henbury Meteorite Craters must have endured at least 4200 years. A memorable meteorite impact in the Sirente (central Italy) was recorded in the oral traditions of local people and endured for 1650 years. But it is stories about coastal drowning on which The Edge of Memory focuses, arguing that these may have endured for anywhere between about 7000 and 13,000 years in some parts of the world. 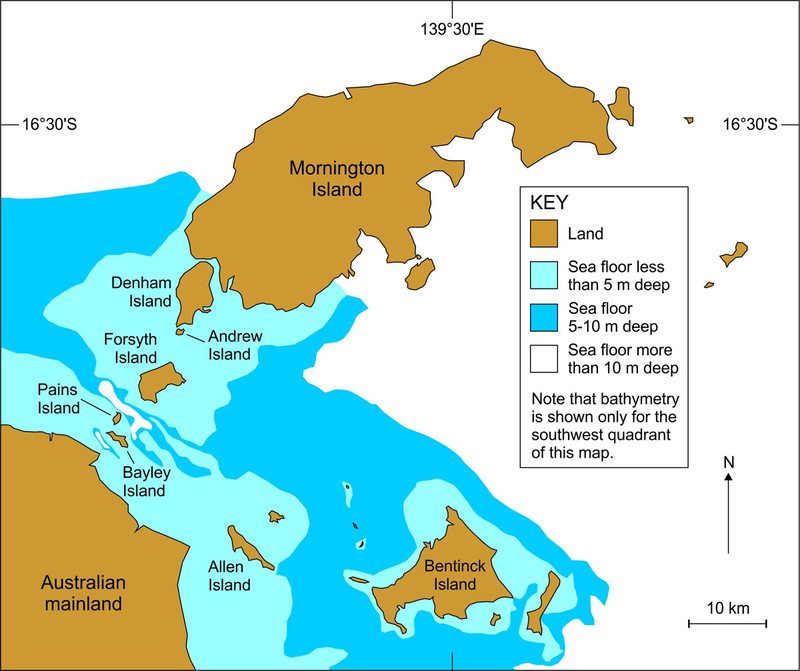 From at least 23 places along the coast of Australia, there are groups of Indigenous stories recalling times when the ocean surface was (much) lower than today - and the coastline was far further seawards. Then, the stories tell, the sea level started rising, drowning familiar landscapes and forcing people landwards; islands were created where coastal promontories once existed. Around Australia, in the aftermath of the last great ice age, sea level rose some 120 metres between 15,000 and 7000 years ago. Given that sea level reached its present level 7000 years ago, hardly moving from it since, stories recalling times when sea level was lower must all have been passed down orally for at least seven millennia. Realizing that humanity had the demonstrable ability during its pre-literate histories to preserve knowledge orally for seven millennia and more gives us pause for thought. Not least we might wonder what aspects of oral knowledge were never written down and have become lost to us as a species? And we might also ask how long can bits of information be preserved in intelligible form in oral contexts.....in other words, where is the actual edge of memory?